It is possible to increase cost-effectiveness and lower the risk of lawsuits while improving patient care and office morale. In this revolutionary work, the authors, a seasoned primary care physician and an experienced defense attorney, detail risk management techniques and introduce the concept of co-active medicine. 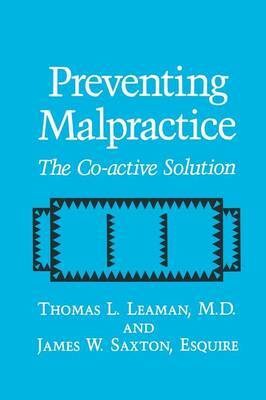 Their book will provide practical guidance for all primary care physicians, and will serve as an invaluable resource for risk management consultants and malpractice attorneys.